The Windsor Bicycling Committee has created a contest, and you can win $500 by just pointing your camera! 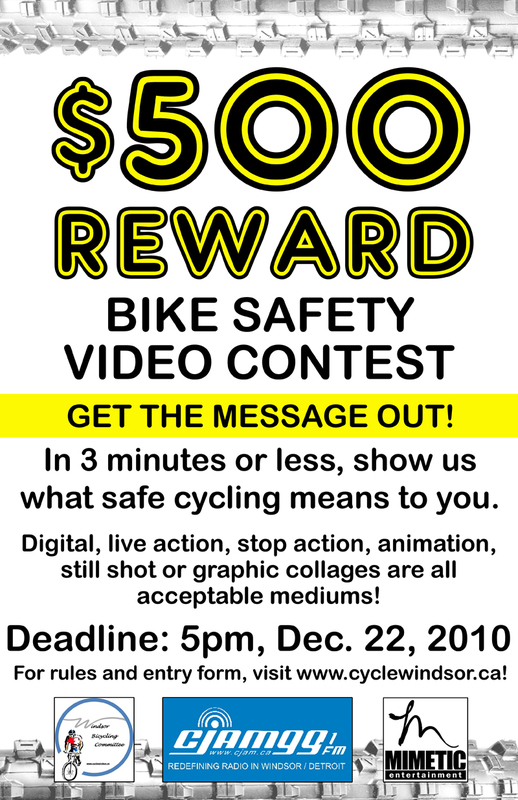 They’re looking for amateur or professional video-camera-wielders to make a video on bicycle safety, keep it under three minutes in length, and be attentive to all cycling laws and regulations. “Through ongoing research in the City of Windsor, the Windsor Bicycling Committee has found that many Windsorites do not feel safe cycling on our streets,” said a news release. The contest runs from now until December 22nd. The winner will be announced on January 15th and will win $500! Check out cyclewindsor.ca for the entry form and official rules and details.